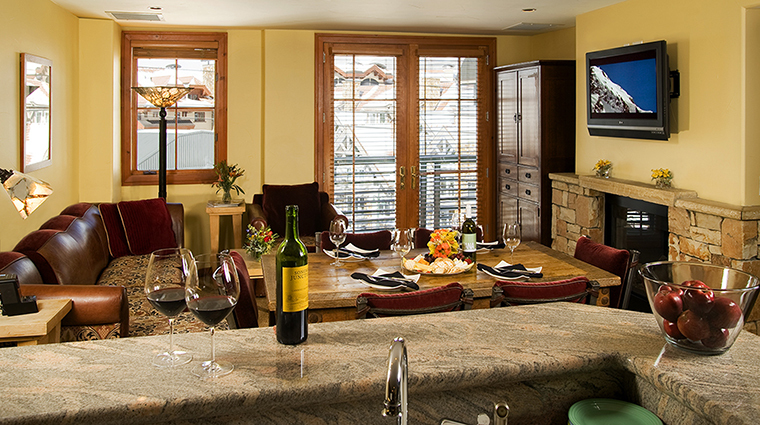 Ski in/ski out takes on new meaning at The Inn at Lost Creek, an intimate place of lodging owned by Telluride Ski Resort. Situated at the top of one lift and the bottom of another, this handsome property serves as an excellent base for all that’s happening on the mountain during the winter and summer. 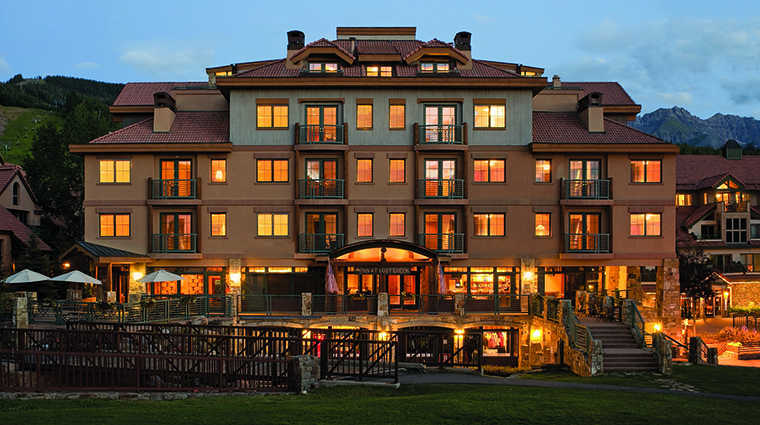 Most of the 32 rooms within this 40,263-square-foot inn face slopeside, affording charming views of the resort’s activities, from skiers and riders cruising by during the day to snowcats lumbering around at night. 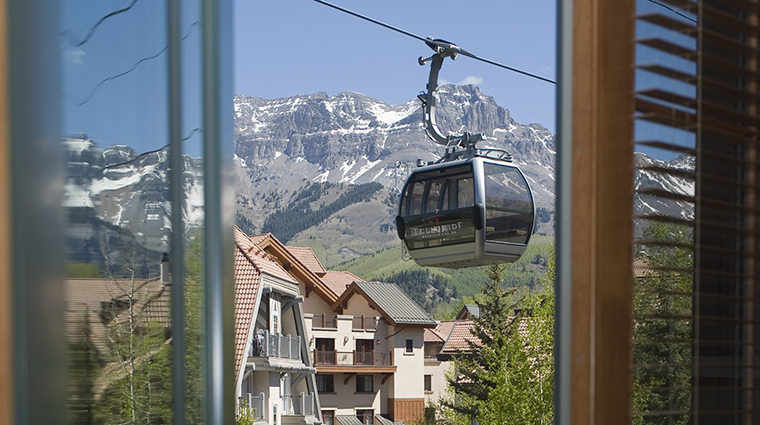 Telluride’s renowned free gondola passes in front of the inn during the winter and summer, which adds to the feeling of being at the center of it all in this fine Telluride Mountain Village establishment. The Sunset Concert Series offers some of the best moments of the summer in this beautiful mountain destination, and this inn — along with its restaurant, bar and decks — is the place to be to take in the fun. 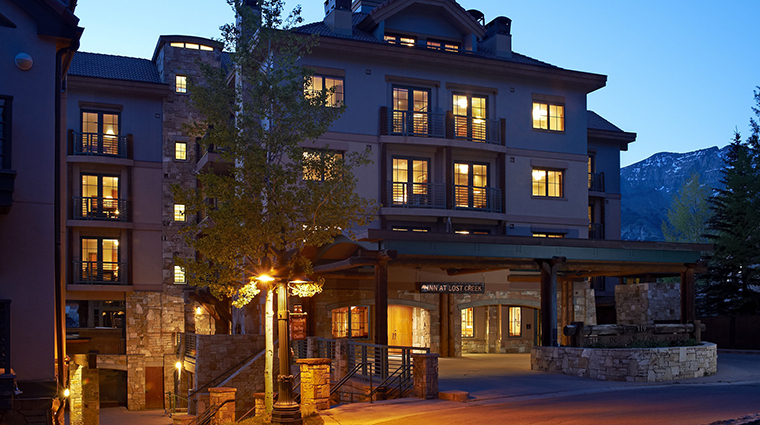 The newly opened ski valet at The Inn at Lost Creek provides extra pampering and ease for snowsports enthusiasts of every age. Instead of lugging your skis or snowboard back to your room, let the valets store them overnight. 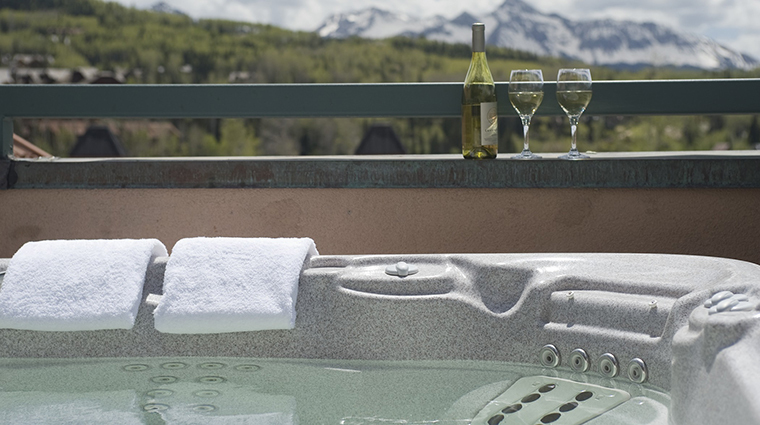 After skiing, indulge in some private time in the rooftop hot tubs (though you must reserve a slot in advance). In the summer, make use of the golf valets. They will hold your clubs overnight and prep your cart when you’re looking to hit the greens. 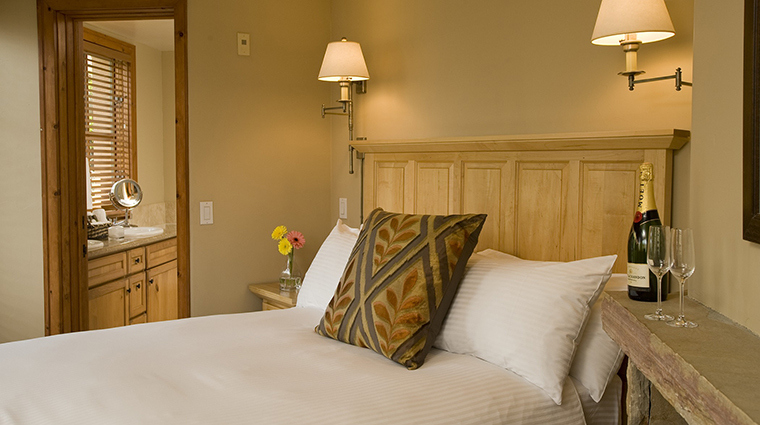 If you’re not a golfer, the Telluride hotel provides plenty of other activities, including mountain biking, fly fishing, white water rafting, kayaking, glider rides, 4-by-4 and ATV tours, horseback riding and rock climbing. 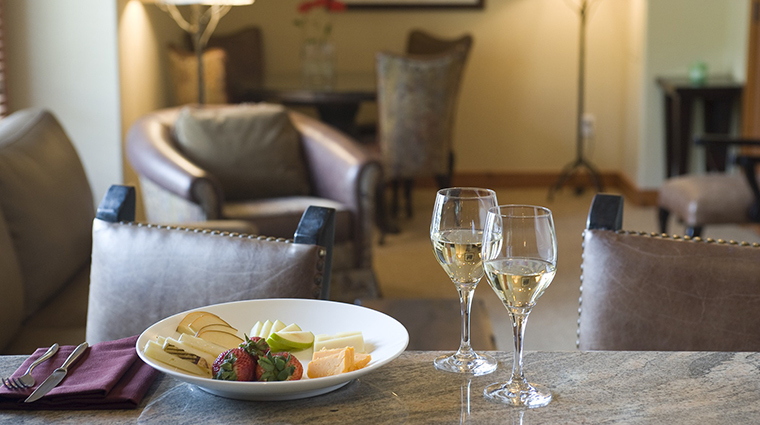 You’ll never have to lift anything heavier than a cocktail or a mug of hot chocolate with the excellent concierge service at The Inn at Lost Creek. Four-legged friends are welcomed at this Telluride hotel with luxurious amenities like organic “luscious liver” dog treats, plush beds, bowls and a specialty pet concierge service. You can even book Fido a treatment at the Soggy Dog Spa. 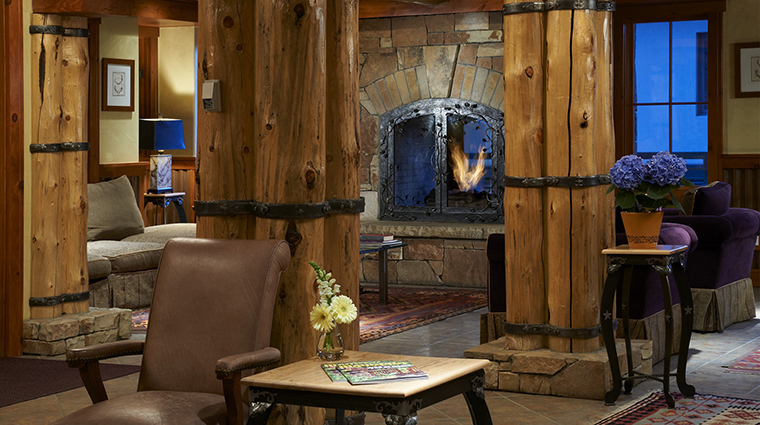 Fuel up for a day on the slopes with the inn’s complimentary breakfast buffet, included in your room rate. 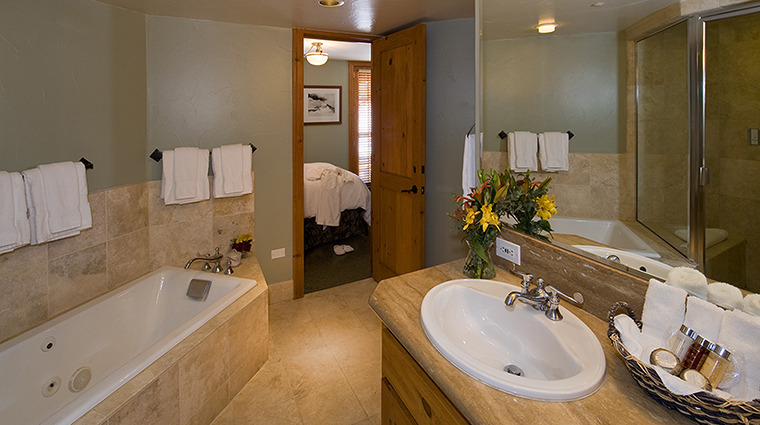 Book ahead to reserve private time in The Inn at Lost Creek’s rooftop hot tub. 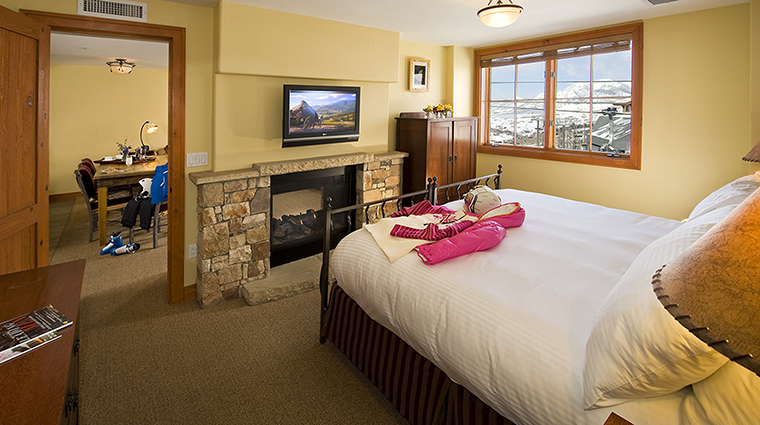 From one- and two-bedroom condos to a one-bedroom suite and a studio, The Inn at Lost Creek provides a variety of lodging possibilities well suited for romantic getaways and family vacations. 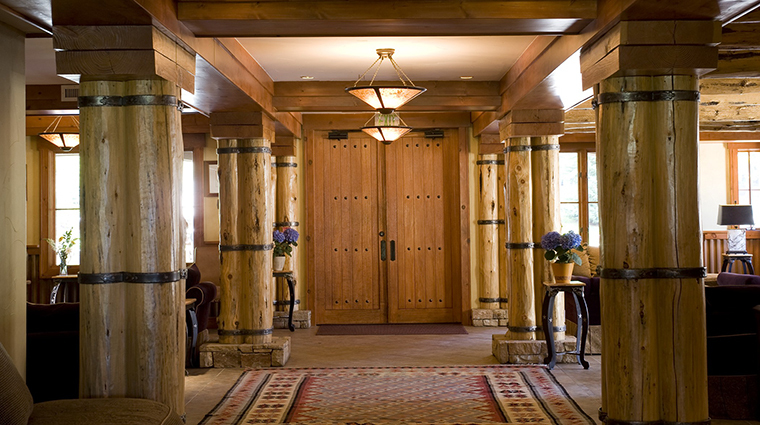 Awash in different versions of mountain elegance, each room has timber, natural stone and handcrafted furnishings, and incorporates contemporary touches, such as black-and-white photographs with Southwestern flair. Painted in a soothing palette of earth tones, all are spacious enough to allow you to comfortably stash clothing and gear on your mountain vacation. 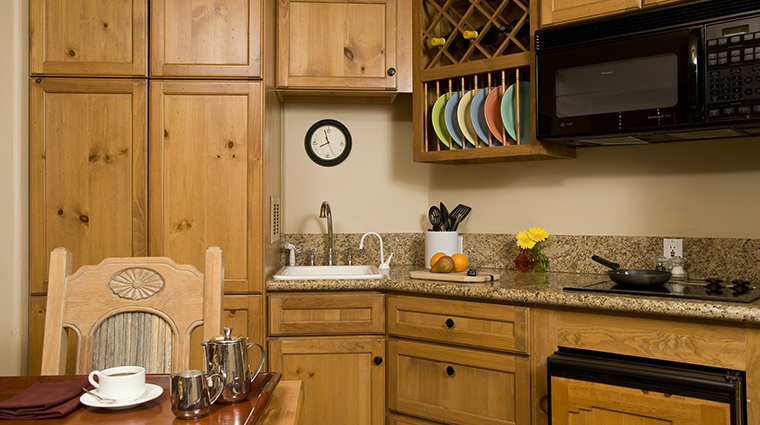 Every room features a balcony, a washer and dryer and either a kitchen or kitchenette. Most also come with fireplaces, steam showers and jetted tubs. An exotic surprise awaits on the first floor of this luxury ski lodge in the form of Siam’s Talay Grille, a fusion Thai restaurant. A variety of specialty cocktails, imported beers and fine wines serve as great accompaniments to the array of Asian tapas and tantalizing main courses served at Talay. Sip a sweet-basil-tini (house-infused basil vodka, lime, basil leaves and cucumber) and nosh on steamed buns stuffed with grilled elk and then move onto pad ka prow, crispy boneless duck with basil sauce, broccolini, baby carrots and brown jasmine rice.